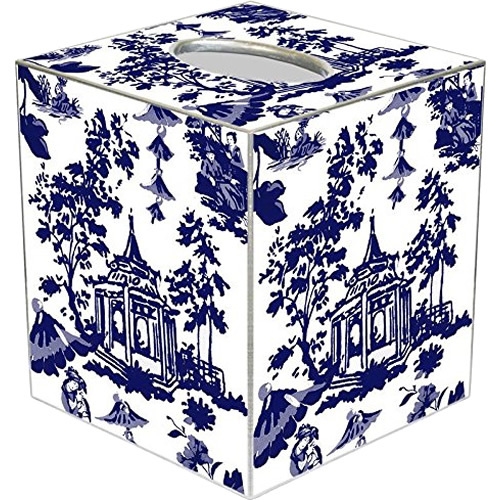 I would love to have Blue Willow accessories in the bathroom. That sounds pretty easy, doesn’t it? This is what I have been able to find. 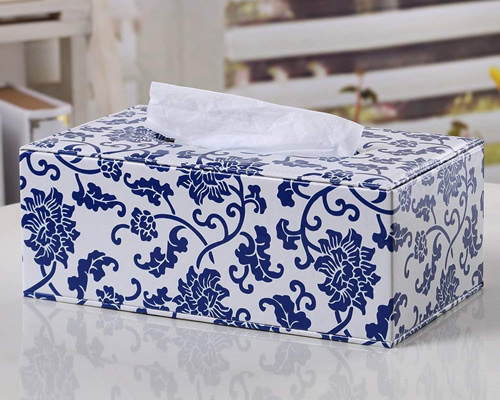 This tissue box cover by Jacaranda Living is sewn out of a linen cotton blend. 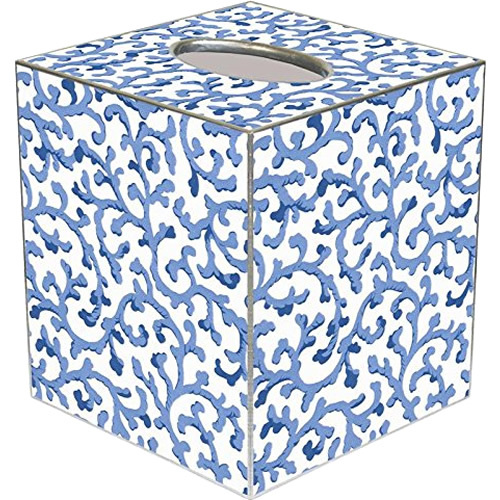 The pagoda is embroidered in cobalt blue. It can be thrown in the wash and laundered. I like that. 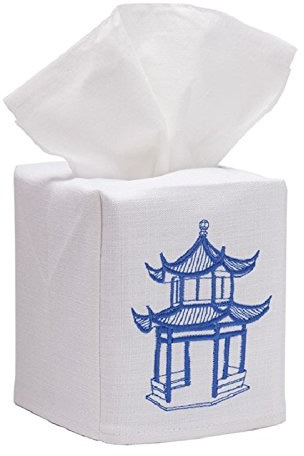 This isn’t Blue Willow, but it is blue and white and has a vaguely Asian design to it. The reviews go both ways. Some people love it. Some people hate it. The price is right. These are beautiful. They come in different sizes. I thought they were ceramic or porcelain. They look like it don’t they? Actually they say they are made of cloth and yarn. Good looking, but probably not what I want to put in the bath room. This one really is Blue Willow. It says it is Hand Made in USA of Paper Mache. This one is made by the same company and would definitely coordinate with Blue Willow. They call it Blue Waverly Scroll. 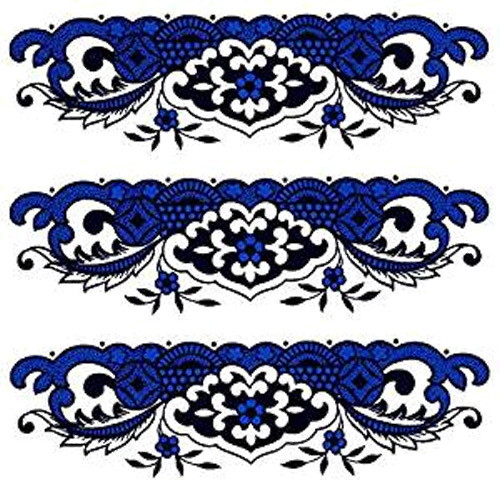 It looks like the coordinate to some of the Ralph Lauren Chinoiserie Blue and White. Also the same company. I like the pattern. It coordinates with Blue Willow. It looks more navy than cobalt. But I really do like it. I would like it better if it was a soap dispenser. 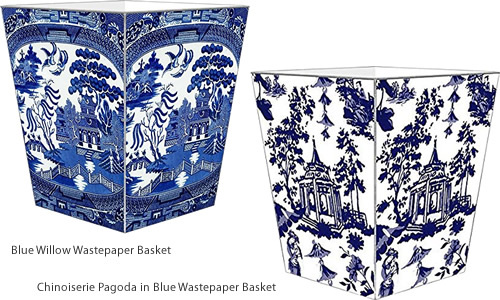 They make coordinating waste paper baskets. 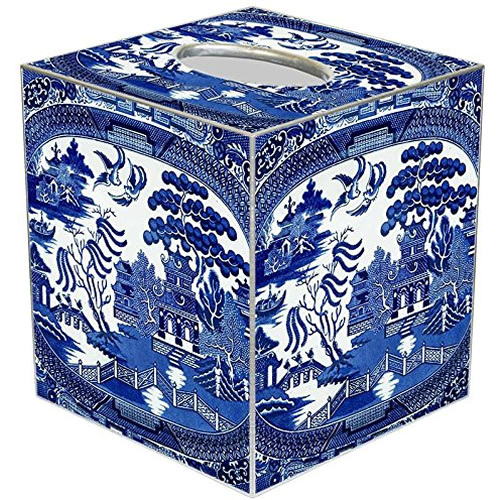 I’ve had less success with trying to find a Blue Willow Liquid Soap Dispenser and Toothbrush Holder. These are at least blue and white. I like the shape. And they are ceramic. 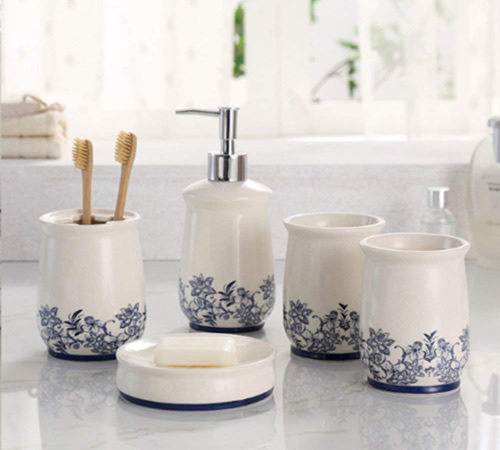 The set includes a lotion pump, toothbrush holder, cup and soap dish. 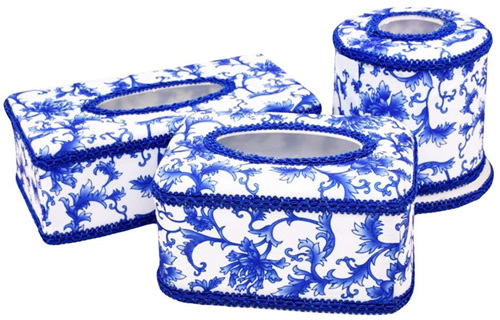 These are also blue and white and made of ceramic. 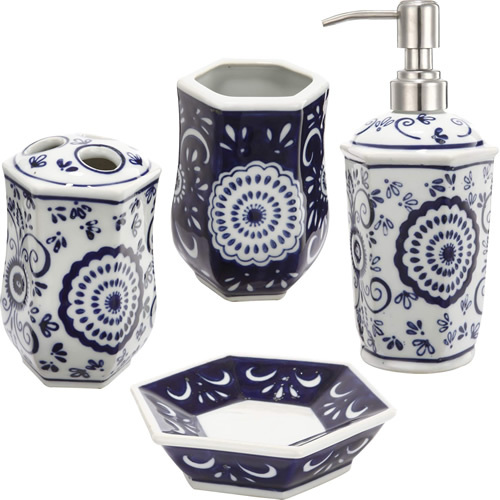 The 5-piece set includes a lotion or soap dispenser pump, toothbrush holder, cup and soap dish. What about this? They make Blue Willow Decals. Just buy any white ceramic bath set and add the decals. Might work! 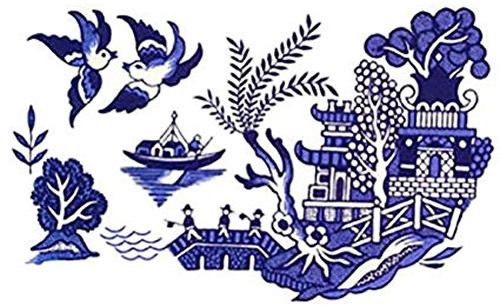 This entry was posted on July 24, 2018, in Blue and White, Oriental Style and tagged Asian, bath, Blue and White, Blue Willow, China, Chinese, Chinoiserie, Dining, Dinnerware, Oriental. Bookmark the permalink.